"What we did specifically with AppSheet was to develop glossaries that support humanitarian field workers and interpreters." Translators without Borders’ Head of Technology, Mirko Plitt, receives AppSheet’s Innovator award, an award that recognizes app creators for creating apps that change how work is done, influencing positive changes in organizations and the world. Translators without Borders is a non-profit organization offering language and translation support for humanitarian and development agencies, and other non-profit organizations on a global scale. The organization aims to close the language gaps that hinder humanitarian and international development efforts worldwide. 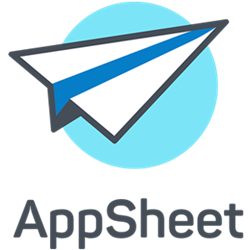 AppSheet’s App Innovator award series shines a light on inspired people creating apps that make a difference in the workplace or the world. “Every day we learn about app creators from every sector—non-profit, education, construction, and more—that have had a significant impact on their business or organization through the development of apps that have changed how people get work done. In ways big and small, we marvel at the ingenuity of these creators and the apps they create to solve a specific problem, address an unmet need, or change an existing process for the better. This award recognizes those creators as innovators in their fields,” said Praveen Seshadri, CEO of AppSheet. “Thank you. AppSheet has allowed us to be more agile which isn’t just a way of being efficient, but also a way of being successful as a whole. Thank you again for this app innovator award,” said Plitt. Originally founded in 1993 in France as Traducteurs sans Frontières by Lori Thicke and Ros Smith-Thomas to link the world’s translators to vetted non-profit organizations that focus on health, nutrition and education. Translators without Borders is a U.S. non-profit organization that aims to close the language gaps that hinder critical humanitarian and international development efforts worldwide. TWB recognizes that the effectiveness of any aid program depends on delivering information in the language of the affected population. By maintaining a global network of professional translators, TWB helps non-profit organizations overcome communication barriers, increasing access to critical information and services while fostering a climate of understanding, respect, and dignity in times of great need.